Caleb Clanton wrote an article in the most recent volume of Philosophia Christi in defense of the cosmological argument. More precisely, he argued for the principle of sufficient reason that undergirds the argument, and against the existence of brute facts which undercuts the argument. Here is a brief summary of his argument. A contingent being is one whose existence is derived from a source outside of itself. Everything we see around us is a contingent being: trees, rocks, planets, stars, and even the universe itself. How did the set of all contingent beings originate? While the vast majority of all contingent beings can be explained by appealing to a prior contingent being, this cannot go on ad infinitum because an infinite regress is logically absurd. It follows, then, that the entire set of contingent beings cannot be explained by appealing to another contingent being because as the set of all contingent beings, there can’t be any additional contingent beings. Only a being that is not contingent can explain the set. A being that is not contingent is a necessary being, meaning it does not derive its existence from anything outside of itself, but has existence in and of itself by a necessity of its own nature. Theists identify this necessary being as God. This argument for God’s existence assumes the truth of the principle of sufficient reason (PSR). The PSR holds that every existent has an explanation of its existence. One could undercut the argument above by denying the PSR, and argue that there are at least some existents that have no explanation; i.e. 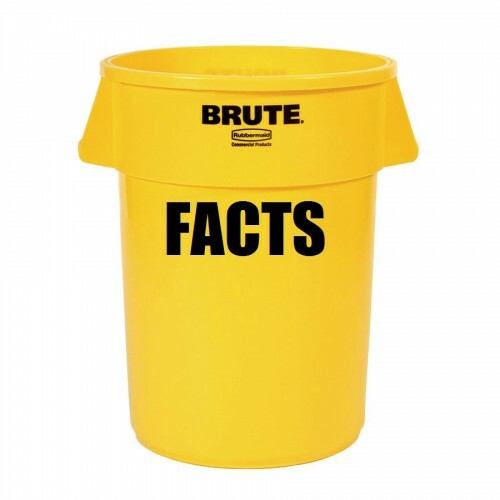 they are just brute facts. On this view, the set of all contingent beings is just a brute fact that has no explanation, and needs no explanation. The $100,000 question, then, is why we should think the PSR is true and that brute facts are impossible. We could appeal to our experience: Everything we see has an explanation for its existence, so it stands to reason that everything (including what we can’t see or haven’t seen) has an explanation for its existence. The problem with this argument is that it’s based on induction, and induction can only provide us with probability, not certainty. While the probability that the PSR is true is extremely high given our repeated and uniform experience, those who have reasons to doubt God’s existence can always appeal to the mere possibility that our experience is too limited to tell us whether or not there are brute facts. Given the fact that the PSR logically leads to the conclusion that a necessary being like God exists, atheists will typically appeal to that possibility. The wiggle room allowed for by an inductive argument allows an escape route for the atheist. One could argue that we should think the PSR is true because we all presuppose its truth in every matter in our everyday lives, and the truth of the PSR undergirds all scientific inquiry. In other words, the truth of the PSR is indispensable on a practical level. We must believe it in order to function. It would be more than convenient to jettison a principle that we affirm with our every thought and action when it leads to a conclusion about the existence of God that we don’t want to accept as true. In other words, denying the truth of the PSR is special pleading. While this is a valid point, still, the utility of the PSR does not prove that it is true. A better way to demonstrate the truth of the PSR is to show that one cannot rationally affirm the existence of brute facts. Clanton argues that to reach the conclusion that some X is inexplicable, one must use abductive reasoning since induction and deduction can no more prove that something is inexplicable than they can prove that everything is explicable. Abduction works by comparing multiple explanatory hypotheses that could possibly explain y. The one that best explains y is the explanation that is most likely to be true. To conclude that a brute fact exists one would have to reason that since there are only x number of possible explanations for y, and none of those explanations actually explain y, y must be inexplicable. The problem should be readily obvious: Abductive conclusions, by their very nature, involve an actual explanation, not the absence of an explanation. It makes no sense to say the best explanation of y is that there is no explanation. The absence of an explanation cannot be the best explanation any more than darkness can be the best light. If no X explains Y, then no abduction is warranted. If one has to use abductive reasoning to conclude that Y has no explanation, and yet abductive reasoning requires an actual explanation, then it is rationally impossible to conclude that y has no explanation. That leaves no rational foundation for the belief in brute facts. We do have a rational basis for affirming the PSR, however, therefore one ought to affirm the PSR. And since the PSR leads to the conclusion that a necessary being like God exists, we ought to affirm God’s existence as well. J. Caleb Clanton, “A (Partial) Peircean Defense of the Cosmological Argument: A Response to Rowe,” in Philosophia Christi, Vol. 16, Number 1, 2014, 193-205. I have a quick question. Can God be both omniscient and omnipotent? I was discussing with an atheist and he said the notion of Gods omnipotence and omniscience are logically incompatible. “How does he have the power to not stop it (any particular action)if he knows he’s going to stop it?” It seems he’s asking how can God choose not to do something if he knows he is in fact going to do it. How can it have been freely chosen? It’s called “allowance”. Then study the B theory of time. That’s just a contradiction. It’s like saying, “How can your friend know he’s not going to offer a stupid challenge if he’s actually going to offer a stupid challenge.” God’s omniscience means he knows all truths, and God’s omnipotence means He has the power to do all things that are logically possible to do. There is no contradiction there. Thanks for the reply. Richard Dawkins raised that point in the book “The God Delusion”. I had another objection I was unable to answer when debating an atheist friend of mine. When I backed him into the corner after I “Kalam bombed” him, he said the Laws Of Logic might not apply outside the universe, so we can say its possible for the universe to have popped out of nothing, caused by nothing, fully charged with energy. I know this is absurd, but I couldn’t think of a way to explain to him his error without him accusing me of making an assumption of the laws of logic outside the universe. Was wondering if you could give me some insight? I think this is a pretty decent argument (a version of which I somehow managed to independently formulate myself before discovering its use by others). But I wonder if this same argument could be formulated in a way that was adaptable to those who prefer a version of PSR somewhat more limited than the rationalist version, which is conclusive of quite literally everything. For example, could this same argument be applicable to one who believes that PSR applies only to real things, rather than propositions? Regarding your latter comment, the reason that’s absurd is that it’s based on equivocation. Your Atheist acquaintance confused the Laws of Logic with the Laws of Physics. The Laws of Physics most certainly don’t apply outside the Universe, and as for Parallel Universes, they would have their own Laws of Physics. Even if another Universe has completely different Laws of Physics, however, whatever laws it has must be logically and mathematically consistent. The Laws of Logic, on the other hand, are the principles against self-contradiction (inconsistency). QED. This is what you should have explained to the Atheist who raised this latent equivocation in the first place. I understand why you would think that intuitively, but that’s not actually valid. The B Theory of Time has been shown not to invalidate causation, and the 1st Cause Argument still applies given a past boundary of any kind (which, a past boundary has been shown to exist in theorems both Classical and Quantum). A more detailed exposition can be found in “Toward a New Kalam Cosmological Argument” by Benjamin Victor Waters, and in other papers out there. Furthermore, the A and B Theories of Time may not be absolute ontological claims, but rather, both may very well be descriptions of time that are both useful in different contexts.